Fluff & Tuff Burt the Lake Trout is a big fish in a bigger world, a world that accepts a trout named Burt. It's a well documented fact that all fish are called Bob, but Burt wanted to buck that trend, so even though it looks like he's saying Bob, it'll come out as Burt. Burt will make the perfect play buddy for any dog, due to his shape, being, well, fish shaped, he's long, but flattish. 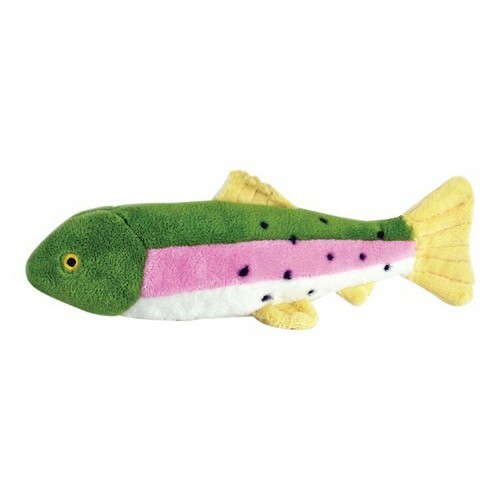 The Fluff & Tuff Burt the Lake Trout has double-stitched reinforced seams, sewn eyes, durable mesh inner lining for the under amour and a non-toxic fibre stuffing for your dog's enjoyment.